Our Flow Coaching Programme is developing a group of regional flow experts and an improvement faculty capable of teaching and training staff. Funded by the West of England AHSN and the Health Foundation, the programme is being delivered by Royal United Hospitals Bath NHS Foundation Trust (RUH). Six coaches from the RUH attended the training in Sheffield last year and now with the support of the Sheffield Microsystem Coaching Academy they are learning how to become trainers for our region. The new teams are from Gloucestershire, Bristol, Bath, Southampton and Bournemouth. 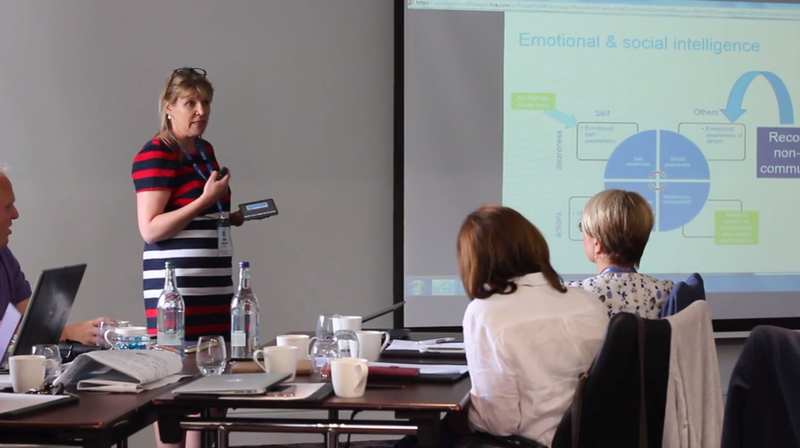 Watch our video to find out what people involved in the programme have been up to and what impact it is already having in improving patient care. The focus on patient flow has received increasing traction within healthcare, especially in relation to reductions in waiting times for emergency and elective care. With pressure on A&E services and increased awareness of issues such as weekend variation, there is a growing recognition that the health care system requires better coordination and new models of provision. The Flow methodology provides a comprehensive diagnosis of how the local system is working and where to effectively focus improvement efforts. It aligns well with aspirations in the Five Year Forward View as it recognises that improving systems of care is a health system-wide agenda, requiring an end-to-end patient pathway approach across departments and organisations. In this short video, Tom Downes, Clinical Lead for Quality Improvement, Sheffield Teaching Hospitals, and for the Flow Coaching Academy Programme, talks about how Flow was developed and what it aims to achieve.